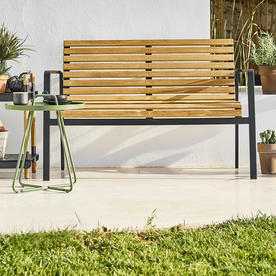 Delightful industrial styled city bench. 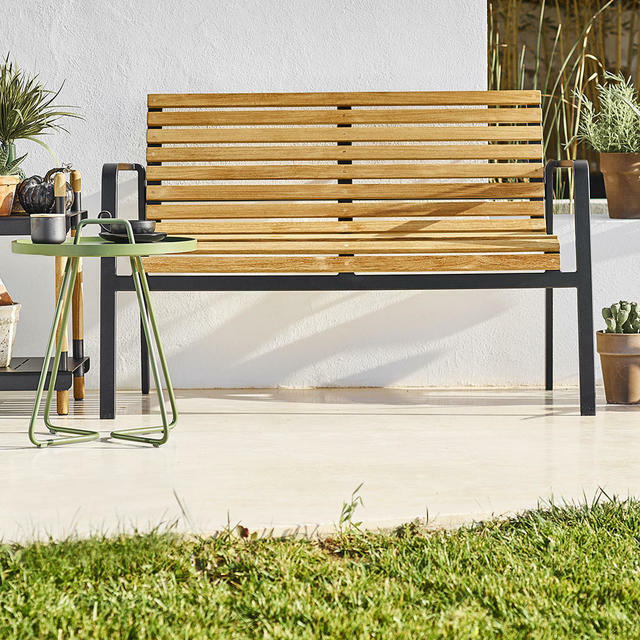 With a nod to industrial and city living the Parc bench designed by Foersom and Hiort-Lorenzen for Cane-line is made for comfort and flexibilty. 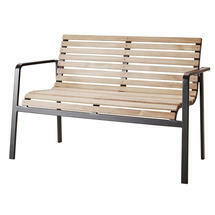 The bench is "bodyfitted" so it follows the shape of the body making it comfortable and easy to use. The Parc bench is made from certified teak and a lava grey powder coated aluminium which ensures a weather resistant surface. 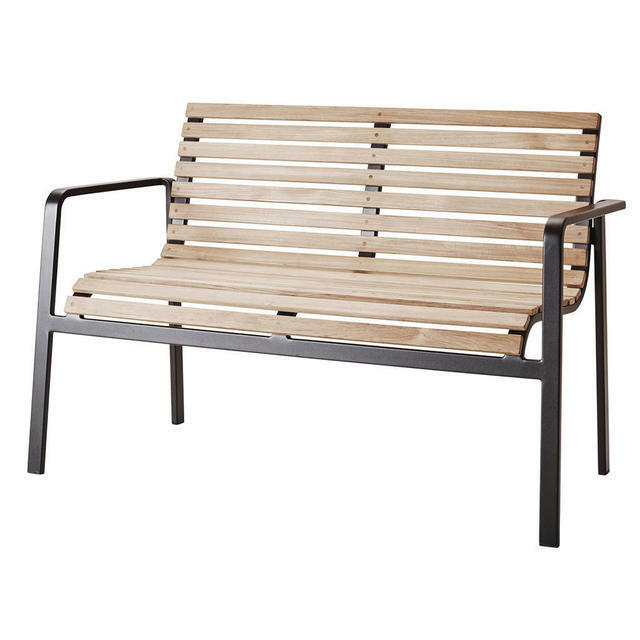 As with all outdoor teak furniture, the teak will weather to a silver grey colour. 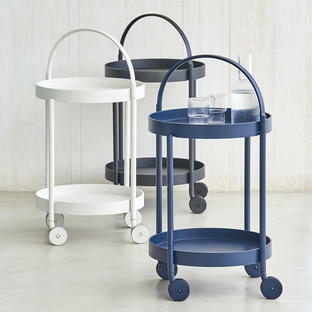 Wash the furniture down from time to time to keep the wood and metal clean from dirt and grim. 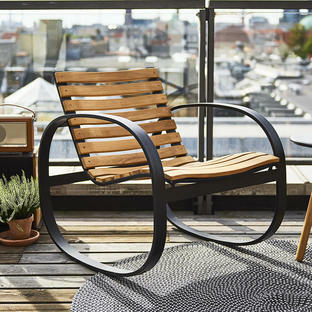 There is also a Parc rocking chair in the same collection. 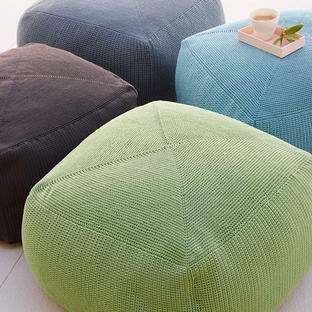 For relaxed dining try the chairs with the outdoor dining tables from the Core Dining collection. 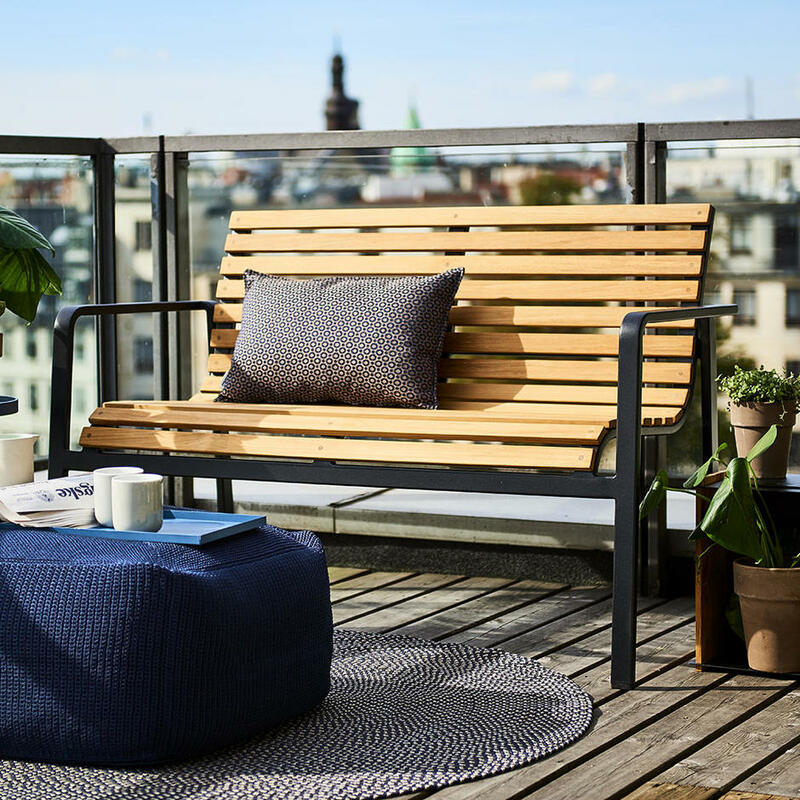 The Parc bench is shown in the main image accompanied by the Defined outdoor rug and the Divine footstool.